The best location in the Bay Club with upgrades galore!This property is the only home that has bay views to the east from the LR,DR,Kit and Master Suite AND direct pool views to the west. 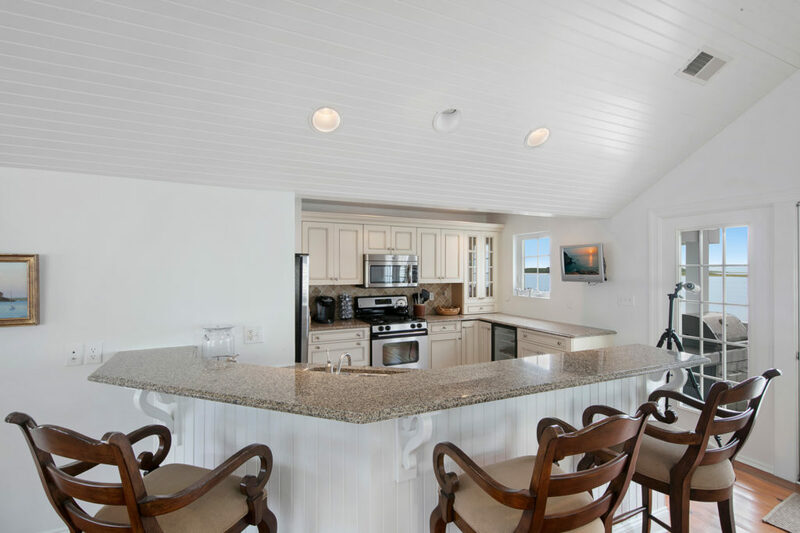 With timeless island flair, this casually elegant residence enjoys a privileged position, situated front & center on the water front. 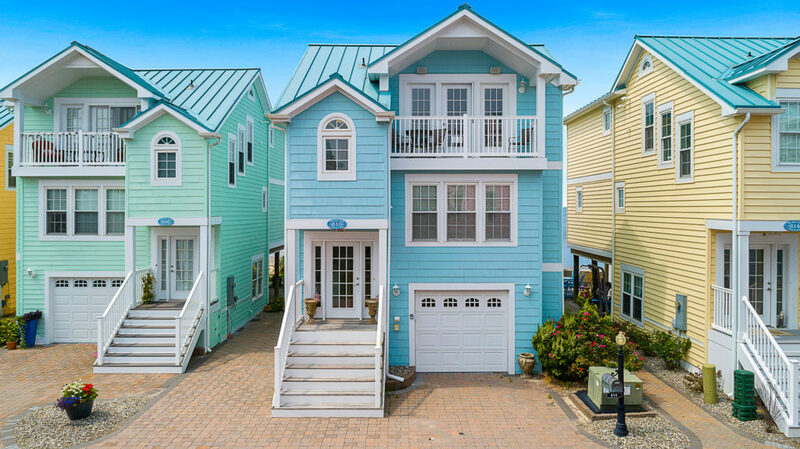 This 3 bedroom, 2½ bath home is part of the distinguished Bay Club. The top floor is accentuated by expansive windows that line the walls, allowing for water views across the kitchen, dining, & living areas.The open concept design is framed with paneled vaulted ceilings, plantation shutters, & oak hardwood floors.A breakfast bar topped with granite counters gives way to the gourmet kitchen adorned with stainless steel appliances, custom cabinetry & a tile backsplash. Down a level, covering the water front elevation of the 2nd floor, the master suite boasts glass French doors that open to a deck with sweeping bay views, a double vanity bathroom, & walk-in closet.And...Two generously sized bedrooms, a full bath, & laundry room complete this well thought out space. The ground floor welcomes you with an attractively appointed ground level living area, entry foyer & convenient garage access to the house. Anchoring each side of the top floor's well thought out space, is a welcoming deck overlooking the bay front & the in-ground pool. 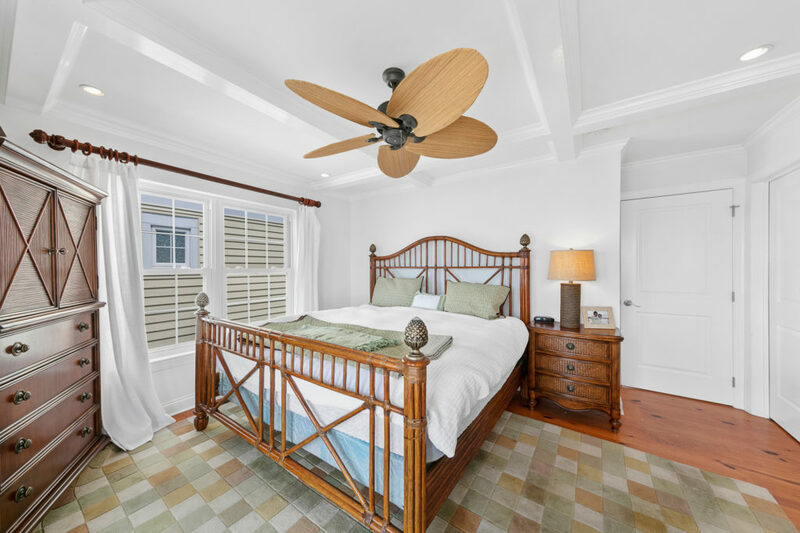 Here you can enjoy the sunrise with cool waterfront breezes, & in the evening capture the most incredible sunsets.The Bay Club's masterful design features fabulous amenities such as, an inviting in-ground pool surrounded with landscaped gardens, direct bay access, & close proximity the beach. 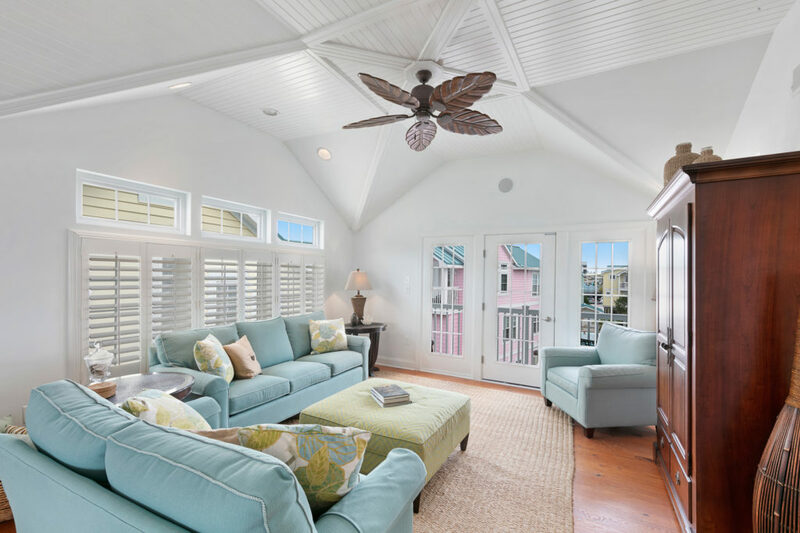 The home has 2 zone HVAC, underground utilities, & an attached garage.The exterior of the house, based on island design, features Hardie Board siding, metal roof, vinyl rails, & a brick paver driveway & walkway. 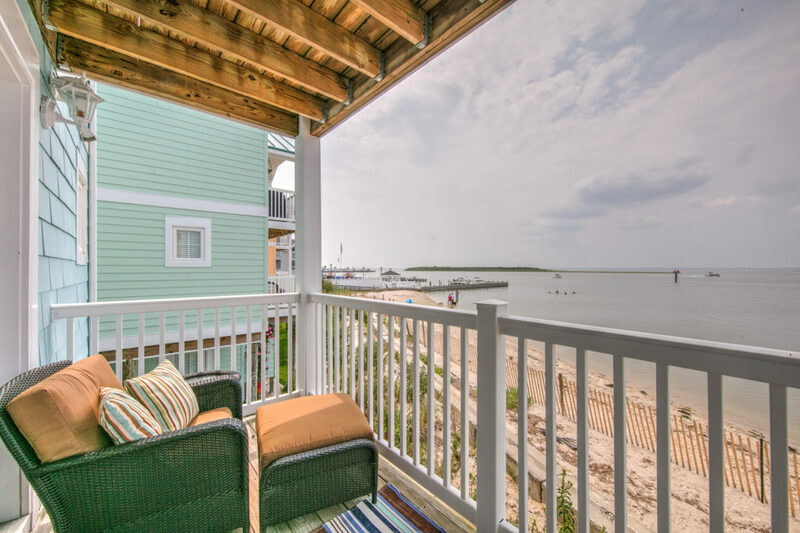 The in-ground pool, gardens, and landscaping, is maintained by the Bay Club of Beach Haven Condo Assoc.See agent remarks.